Human study identifies link between the GALNT2 gene and levels of HDL cholesterol. High-density lipoproteins are complex particles composed of multiple proteins which transport fat molecules around the body. 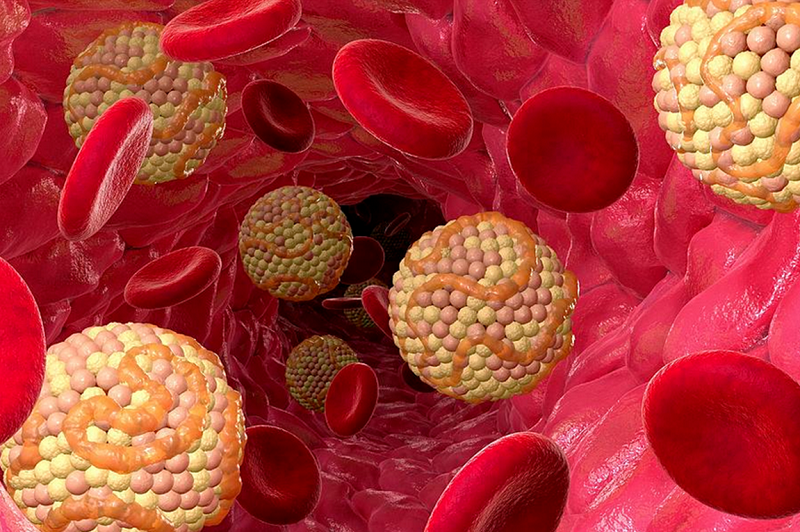 High-density lipoprotein particles are sometimes referred to as good cholesterol because they can transport fat molecules out of artery walls, and are thus, desirable. Many human genome-wide association studies (GWAS) have implicated the gene, GALNT2, as a regulator of high-density lipoprotein cholesterol (HDL-C). However, the mechanisms relating GALNT2 to HDL-C remain unclear. Now, a study from researchers led by the University of Pennsylvania shows how GALNT2 affects HDL-C after comparing several animal models with human patient data. The team state that their findings identify the first known humans with a genetic loss-of-function of GALNT2, and compares the effect of GALNT2 loss-of-function in humans, mice, rats, and nonhuman primates to understand how this gene influences HDL metabolism. The opensource study is published in the journal Cell Metabolism. Previous studies show that GALNT2 was among the first novel genes associated with HDL-C and triglycerides, for blood lipid traits. Despite the early implication of the GALNT2 locus, the specific role of this gene in HDL-C levels remained elusive. GWAS has identified many new areas of the genome as novel and potentially important contributors to disease-related traits like lipid levels, however, finding the specific genes in these regions and how they affect these traits has been very challenging. The current study provides one blueprint for how to relate a GWAS-implicated gene to a clinically relevant phenotype across species. The current study identifies two humans carrying variants in GALNT2 in two independent families that both completely blocked the gene’s enzymatic function. The lab compared the HDL-C levels of the carriers of these variants to mouse, rat, and monkey models of GALNT2 deficiency or inhibition, to show that all the models and the human subjects had low HDL levels compared to models with GALNT2. The group state that they also sought to understand how GALNT2 maintains HDL-C levels, as the gene encodes enzyme modifying proteins through carbohydrate additions. Therefore, they compared all the proteins in the blood and liver, a tissue critical to regulating HDL levels, in the humans, mice and rats with GALNT2 deficiency to pinpoint any proteins with reduced modifications that may impact HDL levels. Results show that humans, mice, and rats lacking GALNT2 had reduced activity of phospholipid transfer protein (PLTP) in the blood, which suggests that GALNT2 is a conserved regulator of HDL levels through its effects on PLTP function. The team surmise that their findings show the loss of function of GALNT2 reduces HDL-C in humans, rodents, and non-human primates, and they also show species-specific glycosylation targets for GalNAc-T2. For the future, the researchers state that the role both HDL and PLTP may play in risk of heart disease remains unclear, and the direct contribution of GALNT2 to the development of cardiovascular disease remains an important unanswered question.